‘The Europe of football’ is one of the aspects of the history of European integration that has generated the smallest amount of academic research. However, the successive invention of sporting traditions with a European calling since the Belle Epoque, followed by the creation of various European cups during the interwar constitute at the same time an original form of ‘Europe-building’ and a lasting contribution to the creation of a European space and spirit. The target of the authors in this book is to look back on the genesis of European competitions that leads to the creation of the European cups now organised by UEFA. It also seeks to show how football has made possible the setting up of a partially transnational space through sports journalism. 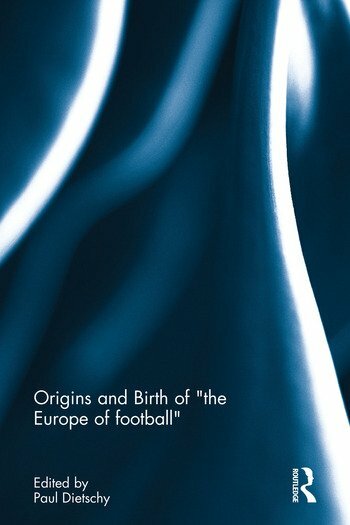 Lastly, through the study of the mobility and connections of football’s actors, the different chapters will also try to identify the various phases of football’s Europeanisation process on the old continent. It will lay strong emphasis on the anthropological, cultural, economic, political and social aspects of this history, notably the production of body techniques, representations, emblematic figures, consumption habits and their role in the larger context of international relations. This book was previously published as a special issue of Sport in History. 3. Did a ‘Europe of Football’ Exist in the 1930s? 4. Switzerland - a stronghold in European football, 1930–1954? 9. The Racing Club vs. Arsenal matches, 1930–1962: A Franco-British ritual, European games or football lessons? Paul Dietschy is professor of contemporary history at the université de Bourgogne-Franche-Comté (Besançon, France). He’s a specialist of a cultural and political sport history as well as global football history studies. He has published articles and books in several languages (Bulgarian, English, French, German Italian and Portuguese).